The odds of winning the lottery are less than getting killed by a falling meteor, but that temptation to win the big jackpot still calls to you. Sometimes it's hard to resist a simple $1 game when the right ticket could completely change your life. Plus, what harm could a dollar do? More than you think. Before you start buying weekly scratch offs or planning the mansion you'll buy with your Powerball winnings, here's some things the lottery doesn't want you to know. 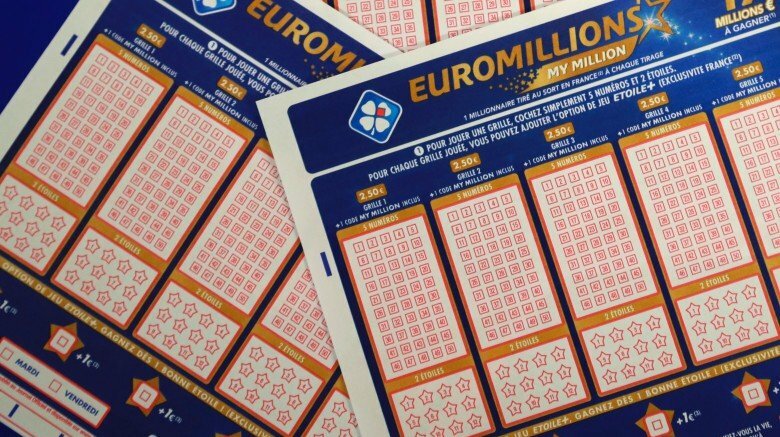 The lottery is already a tricky subject since it seems to be a legal form of gambling. But in states where gambling is illegal but the lottery is fine, they claim that the lotto is a form of entertainment. It's not gambling—people just like spending money to potentially win a prize because it's such a fun game. Yet, you don't see too many people sifting through the garbage for Monopoly pieces. 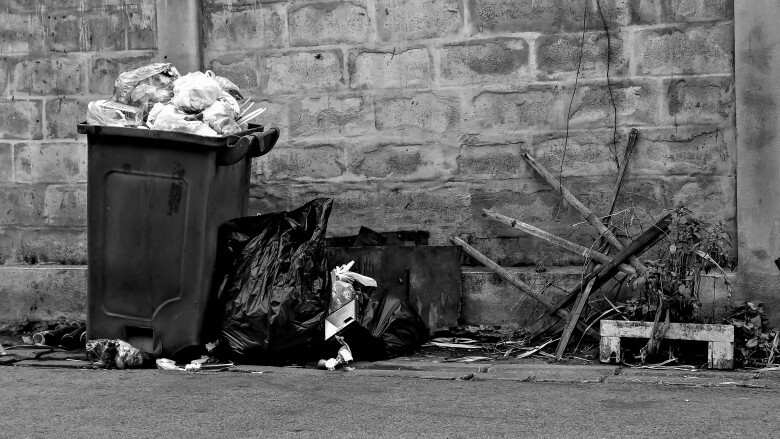 Yes, it's fairly common for people to go through the garbage to try to find mistakenly thrown-out lottery winners. Edward St. John was an 83-year-old man known for going through the town's garbage, when one day he finally found a winning $1 million ticket. But another man put a claim on the ticket, stating he tossed it away by accident. When that man died before the hearing, his family took up the suit, and St. John ended up settling for $140,000. Ed Rader didn't have to go to court for the winning ticket he found in the "clean garbage." First, he used the money to pay off debts. Sadly, he also used it to buy more lottery tickets, and soon, the winnings were gone. States continue to run their lottery programs because they consider it a harmless way to make money. Who doesn't want to give money to education and possibly win millions of dollars? Nobody is forced to buy a ticket, and what difference does a dollar spent here and there really make? Yet those dollars add up when they're used in a desperate hope to get out of poverty. The Atlantic wrote that in 2014, the citizens of the 43 states with a lottery spent $70 billion on the lotto. That's more spent on the lottery than all other forms of entertainment. But the spending isn't distributed equally through the classes. North Carolina found the poorest counties had the highest lotto sales: "Out of the 20 counties with poverty rates higher than 20 percent, 18 had lottery sales topping the statewide average of $200 per adult." Those with the least amount of money to spend are happily handing it over to the government to get an incredibly unlikely chance to change their lives. The government isn't completely innocent in giving poor people this dream. The lottery was more actively advertised in poor communities to get their hopes up for the big win. Even if the lottery made 100 percent of its income on the very poorest families, they'd still have a hard time giving the numbers games up. In 2009, 11 states made more money from the state lottery than they did from corporate income taxes. 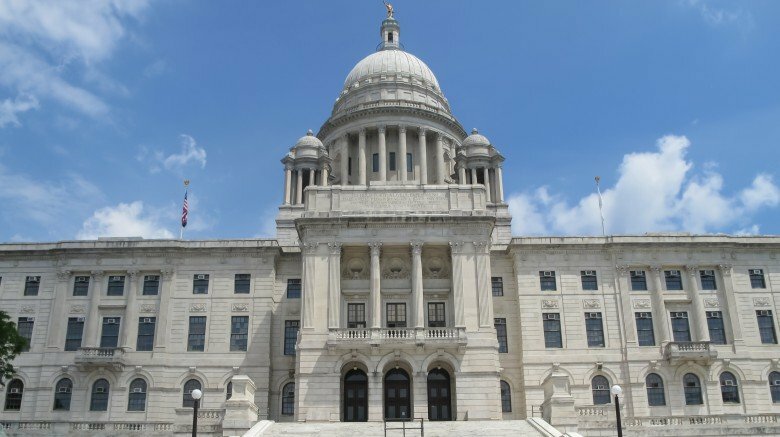 In Rhode Island, the lotto made more than twice as much as corporate taxes. The smallest state would have a hard time turning all that money down. How would they afford the upkeep of the mansions of Newport? Even when the lottery has to pay out for the winners, anyone who wins more than $600 will get the thrill of paying a 45-percent tax. Finally, the lower classes can experience the real delights of being rich—getting even more pissed about how much money the government takes. Okay, the odds aren't great, and the wrong people are targeted, but at least lotto winners get experience the fun of cashing in their tickets with no problems, right? Of course not. Lottery retailers scam people all the time. This isn't some ingenious, number-running business, it's a pretty simple con. They just lie. Retailers will often take the winner's ticket and say, "This isn't a winner." If the ticket holder doesn't have proof of the winning numbers or generally doesn't want to get in a fist fight with a convenience store employee, the winner will leave figuring they just made a mistake. Then, the retailer keeps the ticket and cashes in the winnings. It's not quite a brilliant scheme, but it works. California has had a big problem with thieving salesmen. The state has conducted sting operations on retailers where customers have complained. The undercover cop gives the clerk a "marked" ticket and arrests them when they try to claim the winnings. Sure, that undercover cop might not get the same bragging rights as the guy who infiltrated the Mexican cartel, but it does curb the rampant scamming. 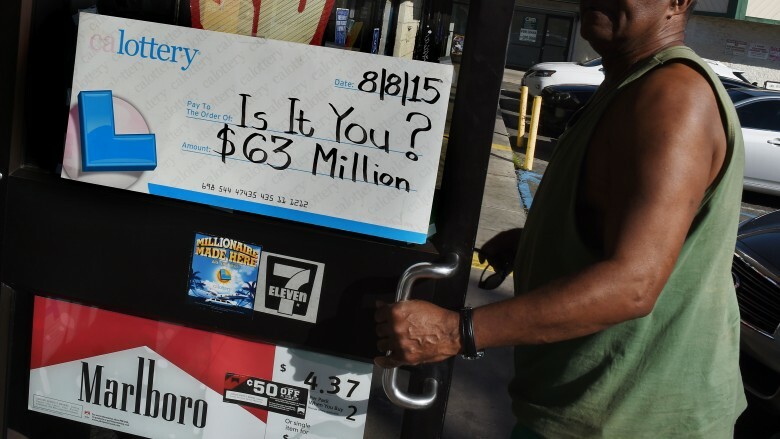 People don't just get hooked on the regular, "pick your numbers" lottery. Scratch offs are huge business. Sometimes, customers assume that since the payouts are much smaller, the chances of winning are better. But no: all lottery chances are horrible. 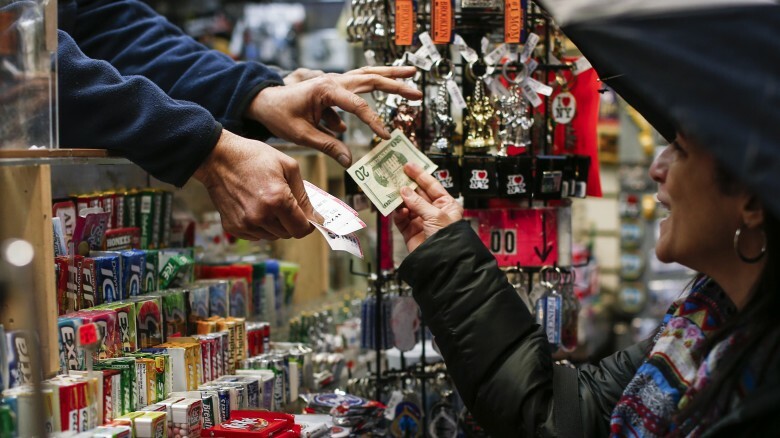 In New York, the scratch off with the best payoff gives $0.88 per dollar. This $30 "Win $1 Million a Year for Life" ticket is so good, you'll only lose $3.60 every time you play! That's still a lot better than the "Lucky Tripler," a not-so-lucky dollar scratch off that pays out only $0.59 on the dollar. Most of the scratch offs in the $1-$10 range pay off around $.61 per dollar, making them a truly horrible investment idea. Plus, you get all that weird silver junk under your fingernails, which is never attractive. Since the lottery is voluntary, if a convenience store owner has any moral qualms with the state game, they don't have to sell lotto tickets. That's true, except it would mean a potential loss of 30-40 percent in sales. 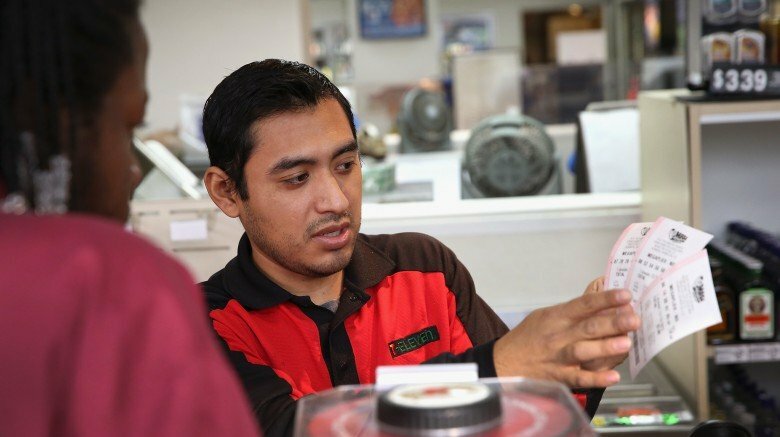 Gas stations and convenience stores rely on the allure of a lottery ticket to bring customers in. Once inside, they're more likely to buy other impulse items like coffee, Twinkies, and suspicious sushi. Without lottery tickets, people are less likely to use the store or take their convenience needs elsewhere. Plus, if the store sells a winning ticket, they get a commission from the state, which is a nice bit of free money. Then, the new status as a "Lucky Retailer" gives the store a 12–38 percent boost in sales as everyone tries to steal some of that luck for themselves. If convenience store sales are tied so closely to the lotto, they must suffer pretty badly during a recession? Nope, because lotto sales typically go up as unemployment rises. In Chicago and Indiana, lottery ticket sales were highest in the counties with the lowest employment rates. At the worst of our most recent recession in 2008, 22 of the 42 states with lotteries had record sales. Yep, huge sales are made from capitalizing on people's desperate fears for their financial future. With state lotto slogans like "All it takes is a dollar and a dream," the states are preying on hope. 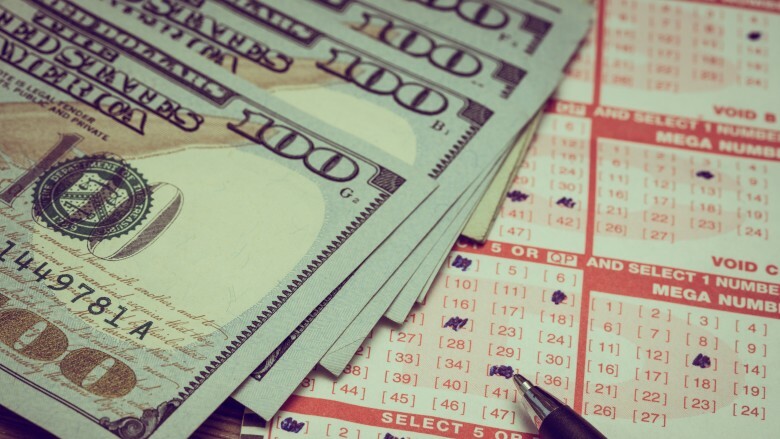 Garrick Blalock, a Cornell University economist stated, "Looking at historical data, it is fair that there has been a trend of lottery tickets sales moving in tandem with economic conditions. A very likely explanation is that when people are feeling desperate, they are more likely to stop by the gas station and buy five lottery tickets, hoping they get a big windfall." It makes sense that people suddenly without jobs and severely devalued homes would start investing their precious cash in the lottery. It doesn't make a lot of sense that states would be cool with getting half their income from the ones most in need. If the government called the lotto by its proper name, sales wouldn't be soaring. Because the lottery should be called a tax. As soon as people hear the word tax, they close their wallets and get out their voting pencils to do everything they can to keep the government away from their money. But, the lottery could change your life. People will happily give their money for that. Now, the lottery and taxes aren't exactly the same. It would be a lot more enjoyable to do your taxes every year if there was fun number drawing at the end of it. And income taxes are not voluntary. No one will haul you off to jail Wesley Snipes–style if you don't buy a lotto ticket. But the government directly profits from the game. The biggest reason the lottery exists is because it makes so much money, specifically for education in most states. But instead of an income tax, where the government gets paid proportionately to what people make, the lottery taxes the poor by a very high margin. 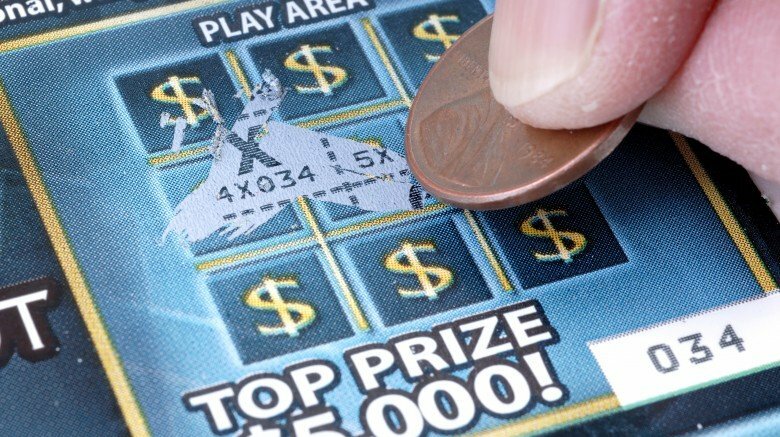 A Carnegie Mellon study found that "lotteries set off a vicious cycle that not only exploits low-income individuals' desires to escape poverty but also directly prevents them from improving upon their financial situations." So, states may be increasing their money flow, but they're doing it by keeping poor people poor. 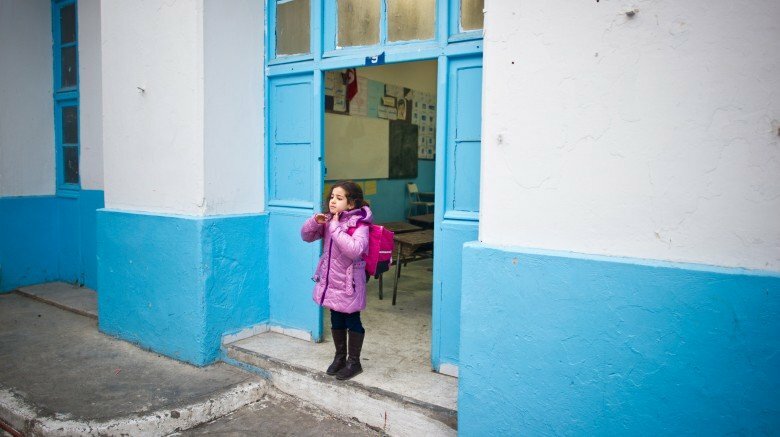 Okay, so the lottery's not good for poor people, but it's helping schools, so we can't get rid of it. Think of the children! The California Lottery alone raised $1.39 billion and gave $97 million to the Los Angeles Unified School district for the 2014–2015 school year. This can't possibly have a downside. Unless you've been skimming through this article just for the lovely pictures, you've probably guessed there's a big downside. Though many states say that they're giving the lottery money to specific causes like education or environmental protection, the money often goes into the general state fund. From there, the money can be used for anything, and the lottery's pet causes may see no effect from the millions of dollars. But some states do make sure that the lotto money is specifically allocated for their cause. Unfortunately, that means legislators can factor all that sweet lottery cash into the budget and start giving out fewer government funds. In the end, education spending stays exactly the same, or gets worse. According to Patrick Pierce, political scientist, "Given a few years, a state would have spent more on education without a lottery." In 2015, California received a C- grade for its schools in an Education Week study and placed 41st in the country in the category of having "conditions that help children succeed." Looks like that billion dollars isn't making a big difference. 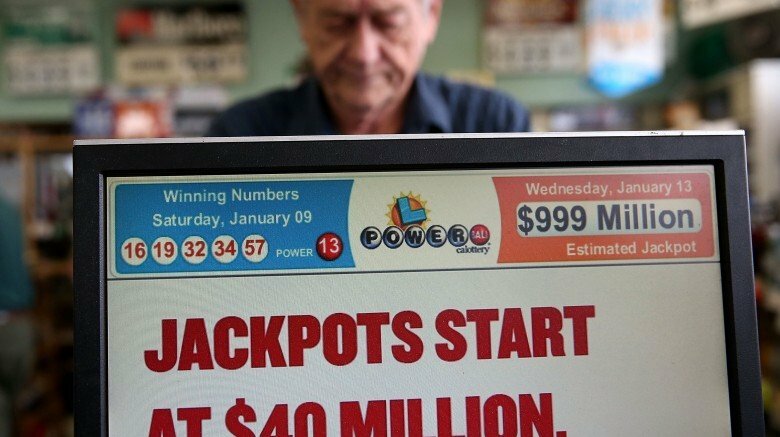 Even if everything else is bad about it, at least the lottery gives a new lease on life to the few lucky ones that defy the odds and win millions. Except, people who've been poor their whole life usually don't do well with a sudden fortune. 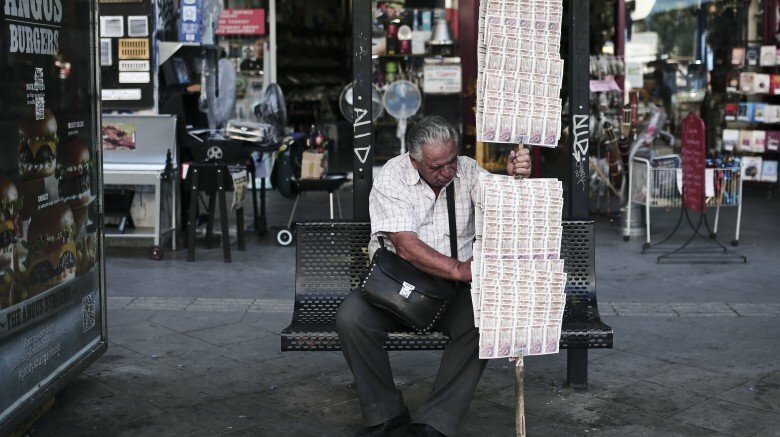 Forbes reports that a third of lottery winners end up bankrupt, and many more suffer from increased rates of depression, divorce, and suicide. It's because such a huge amount of cash is inconceivable to most people. When you can now buy everything you've ever dreamed of, you're going to start spending. They buy houses, cars, invest poorly, and (the biggest mistake) they give too much of it away to friends without realizing the tax ramifications of their generosity. Soon enough, the money is gone. That's not to say that every lottery winner throws all their earnings away, but a lot of them do. Billie Bob Harrell, Jr. is a sad example of winning gone wrong. Harrell won $31 million. He took his family on a trip to Hawaii, bought his loved ones houses and cars, and donated lots to the church. But people started harassing him for money, he took a bad deal with a shady lump sum payment company, and after his wife left him, he said, "Winning the lottery is the worst thing that ever happened to me." His son found Harrell's body at home. He'd killed himself.